Working throughout Thame, and the surrounding areas, our team of electricians carry out the repair and replacement of fuse boxes. "Does your fuse box need replacing? Please get in touch with our electricians today." An old fuse box in your home or building is unsafe as well as not being able to cope with the demands that you are placing on it day and day out. This here makes sense to replace your current box with a more modern and up to date system. 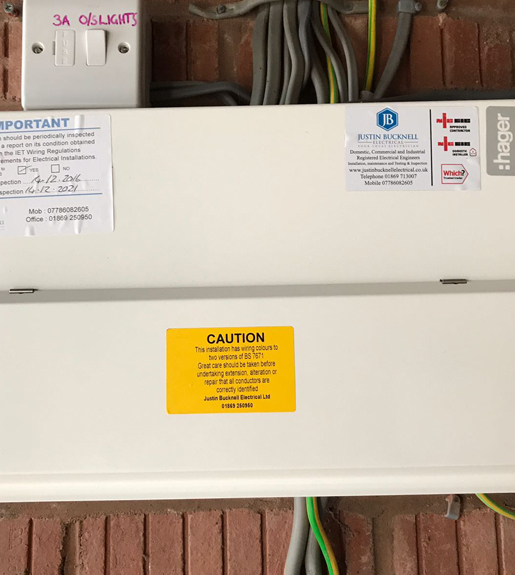 Working throughout the Thame area, we at Justin Bucknell Electrical employ a team of trusted and reliable electricians who specialise in carrying out fuse box replacements. If you would like to know more information about this service, or other areas that our team of electricians will work outside of Thame, please get in touch today and we will happily assist you in your enquiry. For a professional service across Thame & the surrounding areas, contact us today.